The story of Welch's began in 1869 in Vineland, New Jersey – when physician and dentist Thomas Bramwell Welch and his son Charles processed the first bottles of "unfermented wine" to use during their church's communion service. 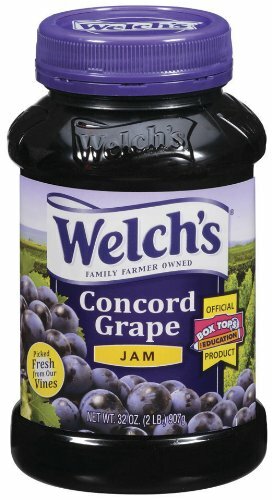 Today Welch's is the world's leading marketer of Concord and Niagara-based grape products – with over 400 items ranging from refrigerated juices and sparkling juice cocktails to jams, jellies and a variety of single-serve products in all shapes and sizes. Our headquarters is in Concord, Massachusetts – birthplace of the concord grape. Our products are sold throughout the U.S. and in more than 35 countries and territories around the world. Twice the antioxidant power of orange juice, (per ORAC lab tests), No added sugar - ever. Our grapes are sweet enough! View More In Jams, Jellies & Preserves. Ikea Organic Jam Bundle - Includes Total 4 Preserves - 2 SYLT LINGON Lingonberry Organic Preserves and and 2 MARMELAD APELSIN & FLÄDER Orange & elderflower organic Marmalade.